Operating from its base in Hertfordshire and previously known as InspirationWorks, KD UK makes a variety of fun and educational products, all with licenced themes. Peppa Pig, Fireman Sam and Disney Princess are just three of the popular kids licences that a whole series of exciting toys are based upon. 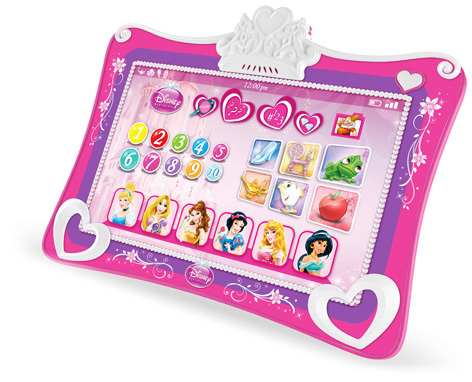 Many of these products are suitable for children aged two and over. 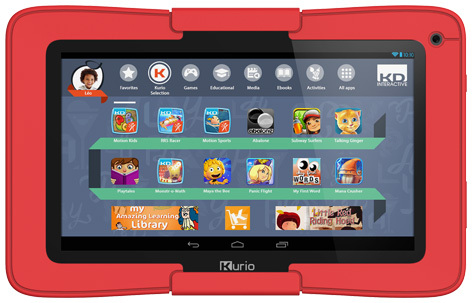 Only launched in 2012, the Kurio tablet was well received by parents who like the protection levels and child-friendly themes it offered. One of the most important and largest ranges is based around Peppa Pig. This timeless character continues to grow in popularity as each wave of kids reach the appropriate age. Peppa Pig Mini Notebook and My First Laptop are a small part of a much bigger collection. KD UK continues to add new licences each year, with Disney Frozen and Monsters University joining the fold, as well as Something Special and In the Night Garden. 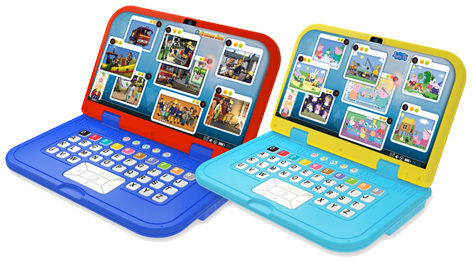 With electronics playing such an important part in many preschool toys, KD UK products help to show children from a young age the many benefits of getting used to the latest technology, while teaching basic skills such as number, colour and letter recognition, observation skills and more. Other important branded products include My First JCB, Scooby-Doo, National Geographic and DC Superfriends.